Watkins Glen, the county seat of Schuyler County, sits on the southern tip of Seneca Lake, and boasts the lovely Watkins Glen State Park, a gorge with waterfalls, and a famous car race track, Watkins Glen International, home of the Watkins Glen Grand Prix. 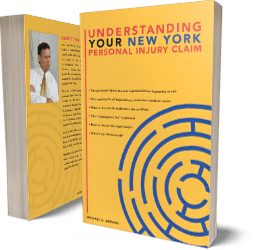 Michaels & Smolak, one of the region’s premier personal injury law firms, has represented many injured and malpracticed clients from the Watkins Glen and Schuyler County area, including a man who sustained broken ribs and facial lacerations in a motor vehicle accident when his driver lost control and struck a tree. The firm has offices in Auburn, Syracuse and Liverpool, but the geographical scope of the firm’s client base is much broader. One of the firm’s attorney’s, Mike Bersani, lives on the other end of Seneca Lake in Geneva, New York. Mike meets the firm’s Watkins Glen clients at their homes in Watkins Glen, or at law offices in Geneva. The firm’s lawyers pride themselves on their personal service, and thus often travel to meet their clients wherever they live.